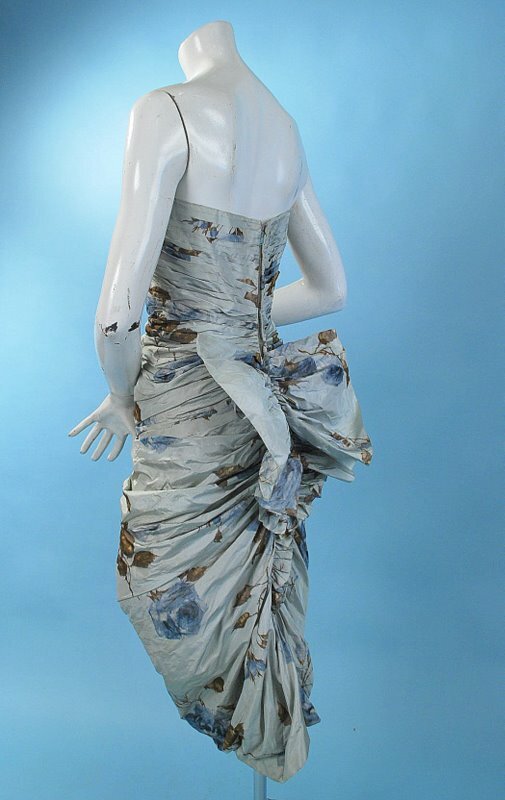 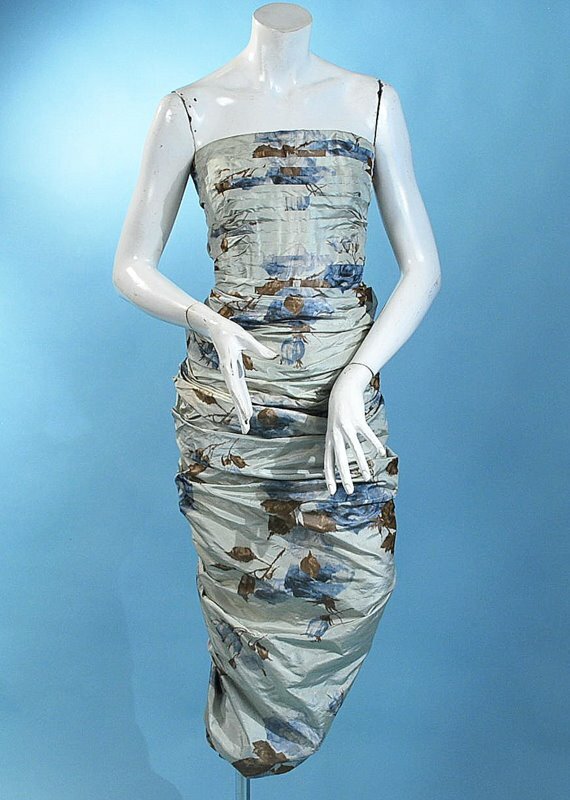 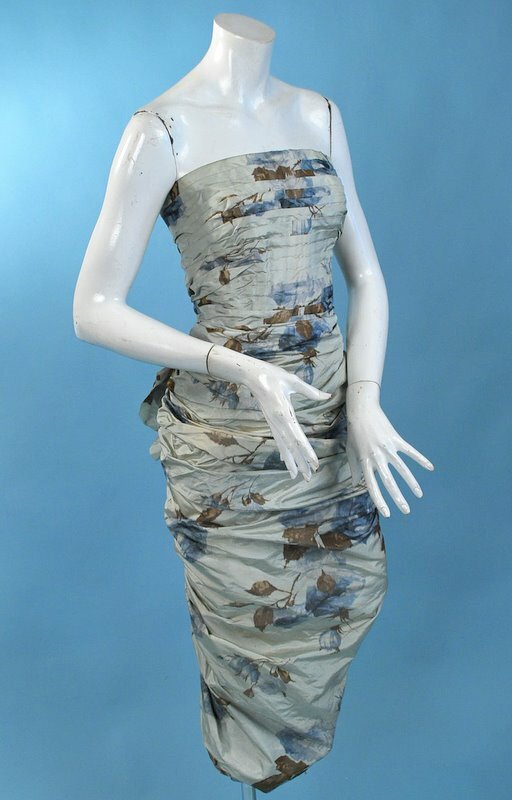 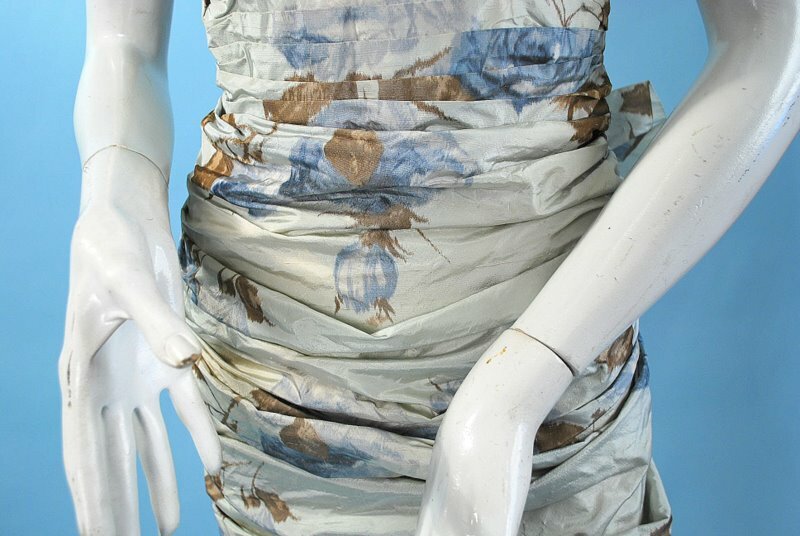 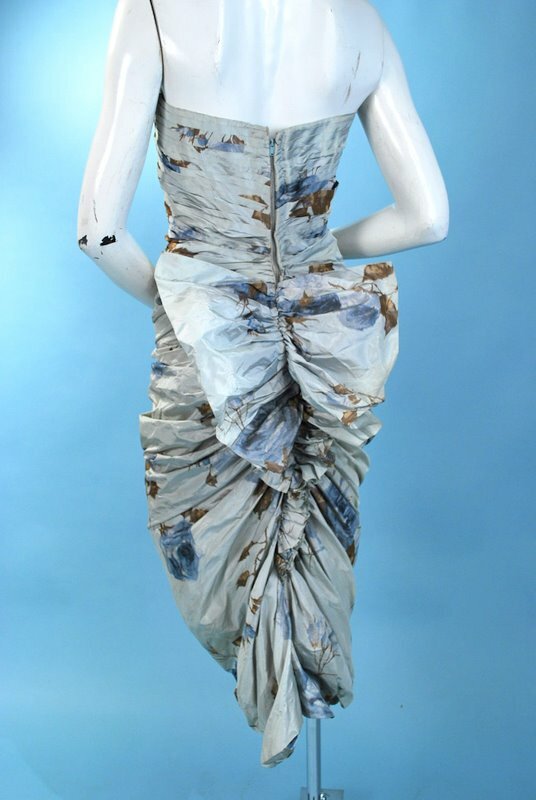 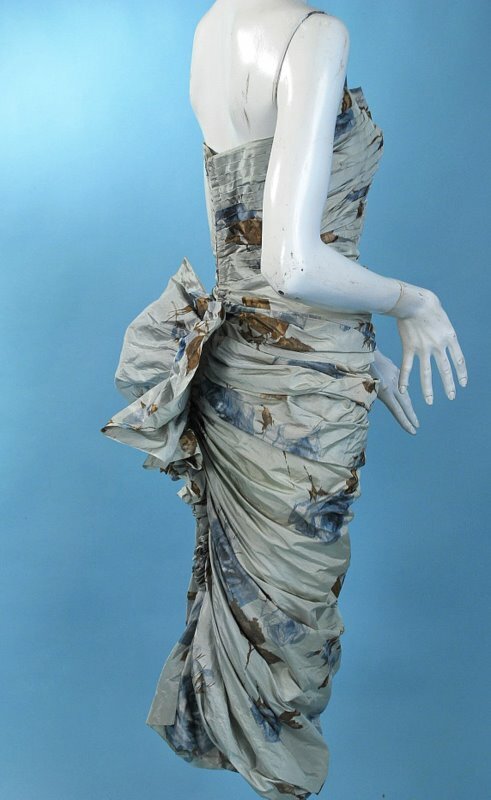 Labelled Philip Hulitar cocktail dress, dating to the early 1960's, watercolor floral silk pastel palette of powder blues and taupe. 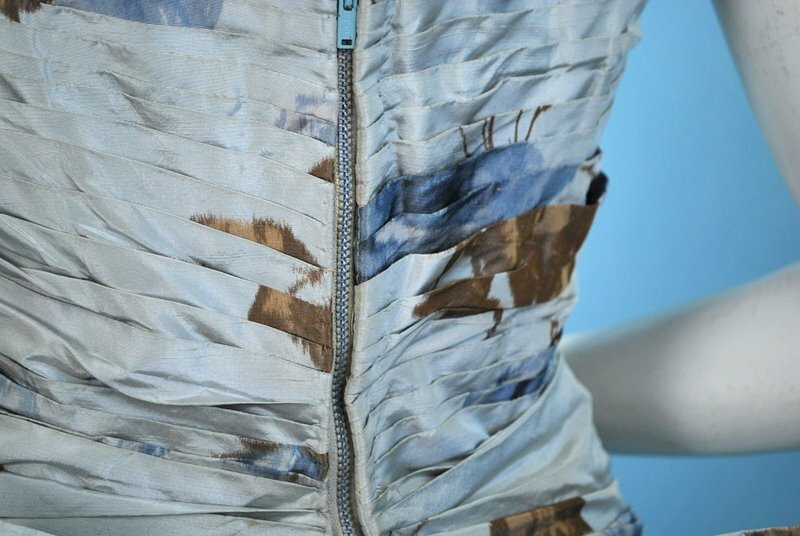 A variety of imaginative design and construction ideas. 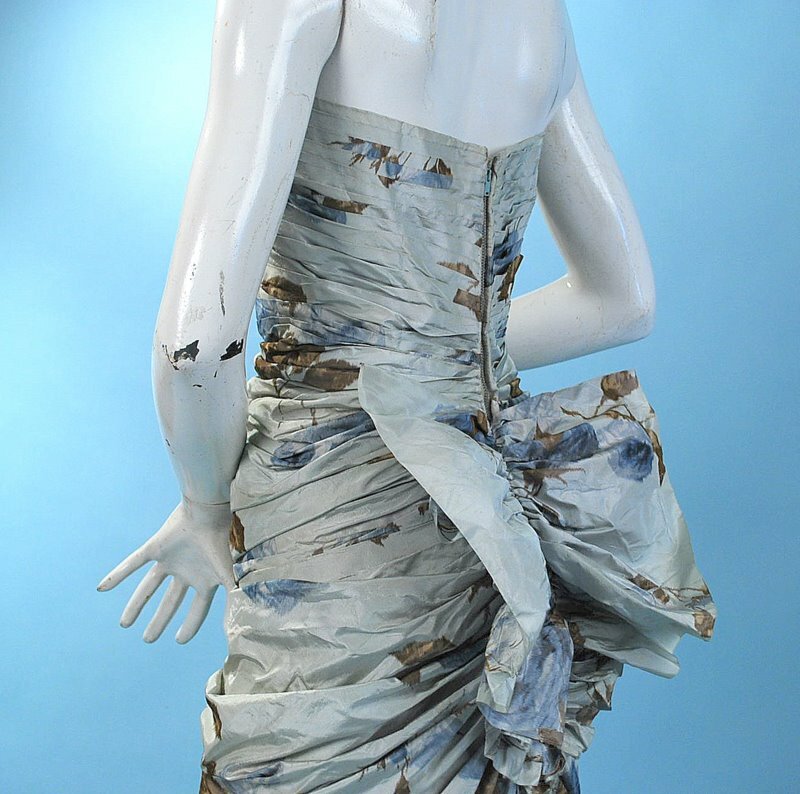 The boned bodice has horizontal pleats which meet the slim fitting skirt with excessive fabric that gathers into gentle folds as it meets the resistance in the curve of the hips. 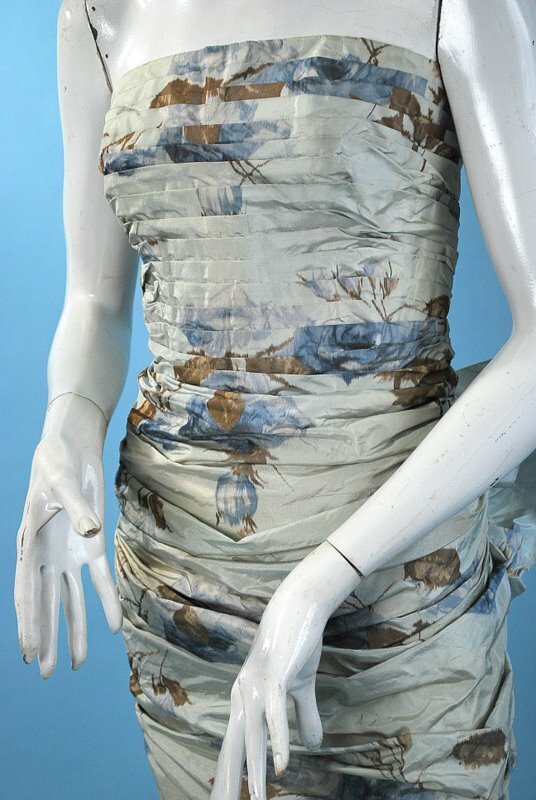 With a back metal zipper and a whimsical fan shape flirtatious detail at hips and tight ruched fishtail running to the hem, lined in cream colored rayon. 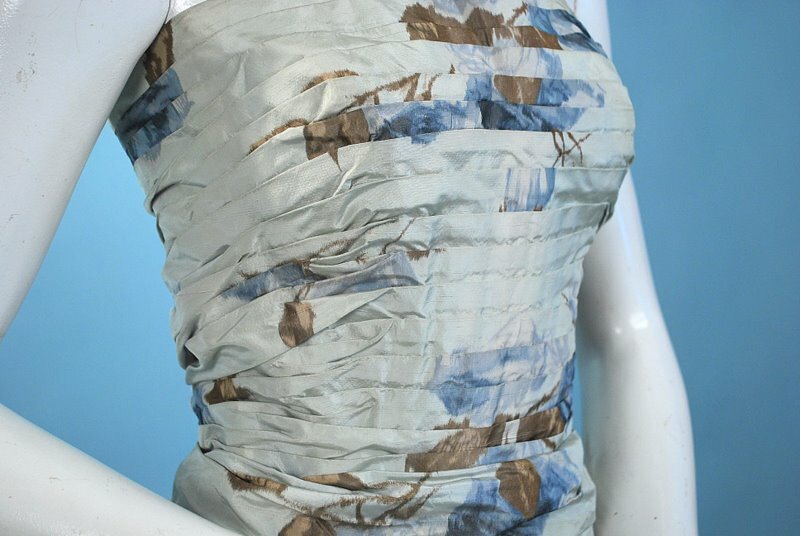 In excellent vintage, uncleaned condition, with a couple of teeny pindot holes to the silk. 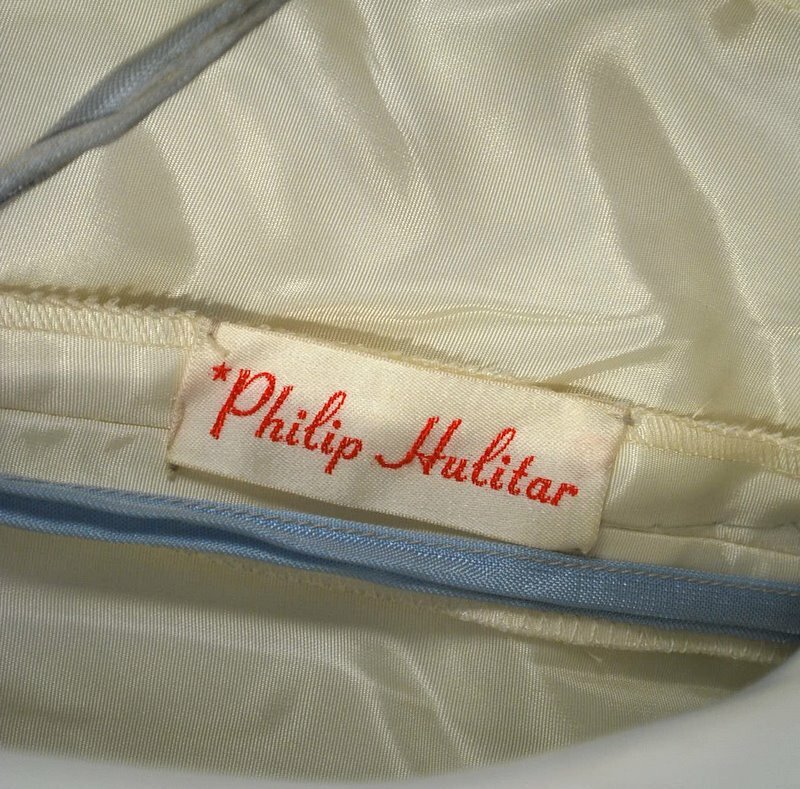 Chest measures 36″, waist 26″, hips 34″, length 47″.